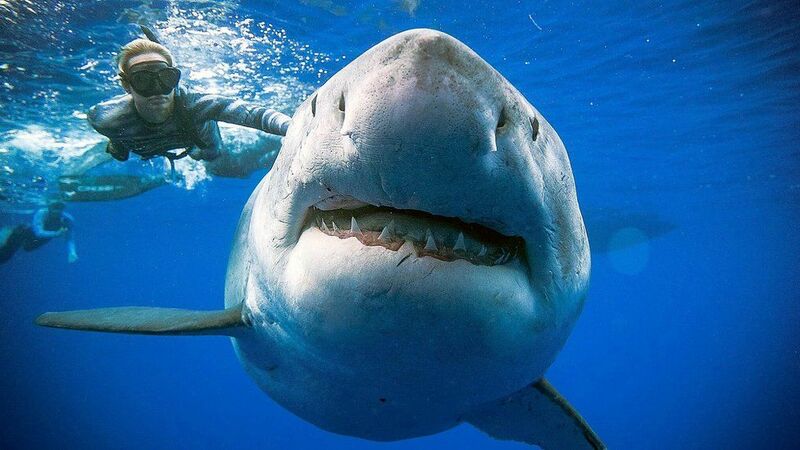 A team of divers has had a close encounter with one of the biggest great white sharks on record – and lived to tell the tale. It was attracted to the area off Oahu’s south shore by the carcass of a dead sperm whale. “We saw a few tigers and then she came up and all the other sharks split, and she started brushing up against the boat,” she said. Ms Ramsey said the shark was “shockingly wide” and could be pregnant. 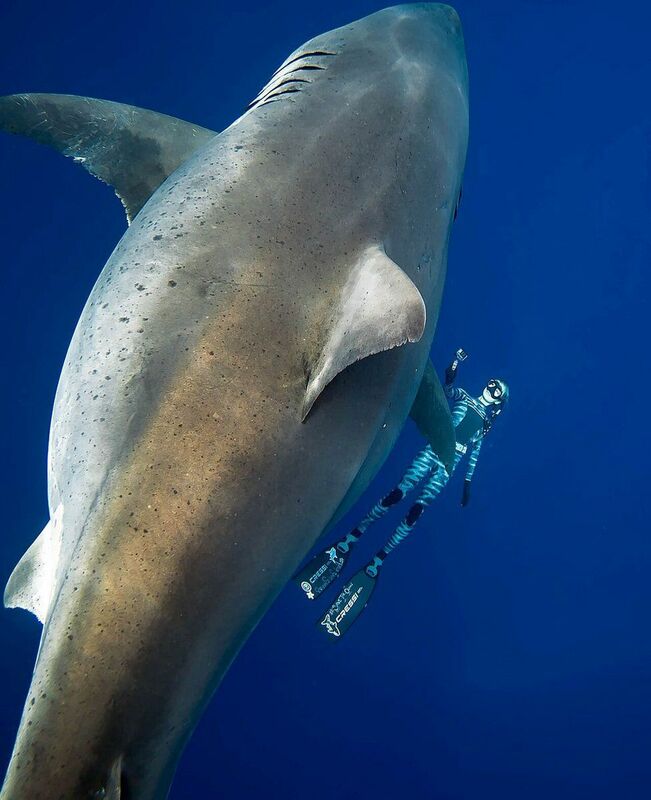 Deep Blue is believed to be about 50 years old and has its own Twitter account.